1 Preheat oven to 425°. 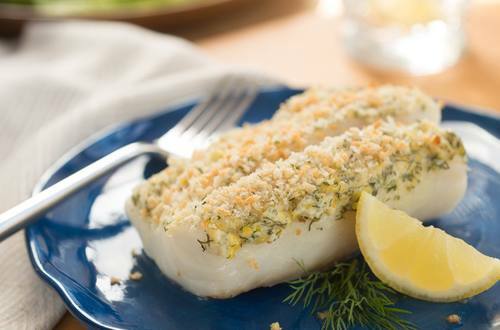 2 Combine Hellmann's® or Best Foods® Light Mayonnaise, dill and lemon peel. Arrange cod on baking sheet. Evenly top with Mayonnaise mixture, then sprinkle with bread crumbs. 3 Bake 15 minutes or until cod flakes with a fork and topping is lightly browned. TIP: Also terrific with chopped fresh parsley!